New owners of thermo devices may find themselves wondering how they ever managed without them. These kitchen robots weigh ingredients, chop, grate, blend, cook, steam, and so much more. Batch cooking is a breeze, and you can say goodbye to that stack of dirty dishes and pans. Thermo Cooking for Busy People puts your thermo appliance—no matter what the brand—to good use so you don’t have to work. 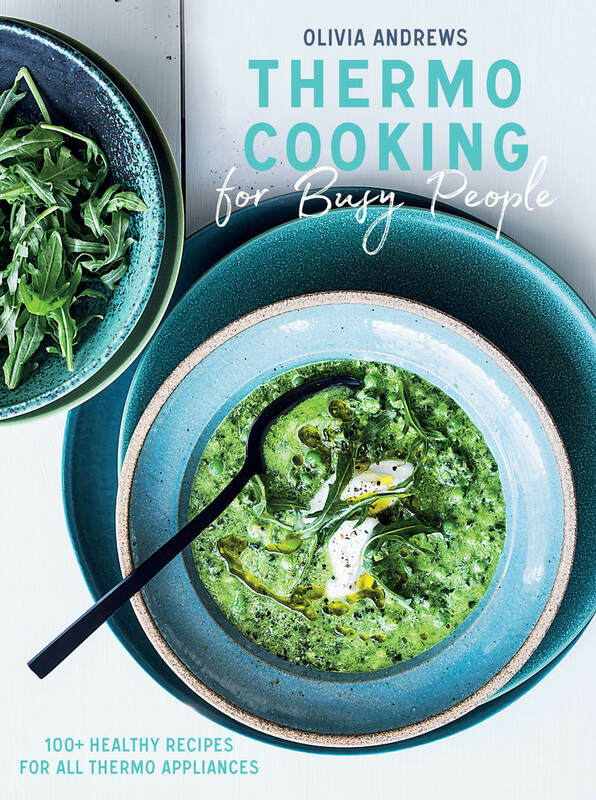 Combine the convenience of thermo cooking with innovative healthy meals that have been tried, tested, and loved, all in the messy reality of family life. These recipes have been created for cooks of any level, from beginners to avid thermo users. All are quick, easy, healthy, nutritious, and family friendly. Olivia Andrews co-founded the hugely popular recipe kit delivery service Marley Spoon, where she continues to inspire families with her easy, flavor-packed approach to weeknight meals. She is also the author of Whole Food, Slow Cooked, and lives in Australia.